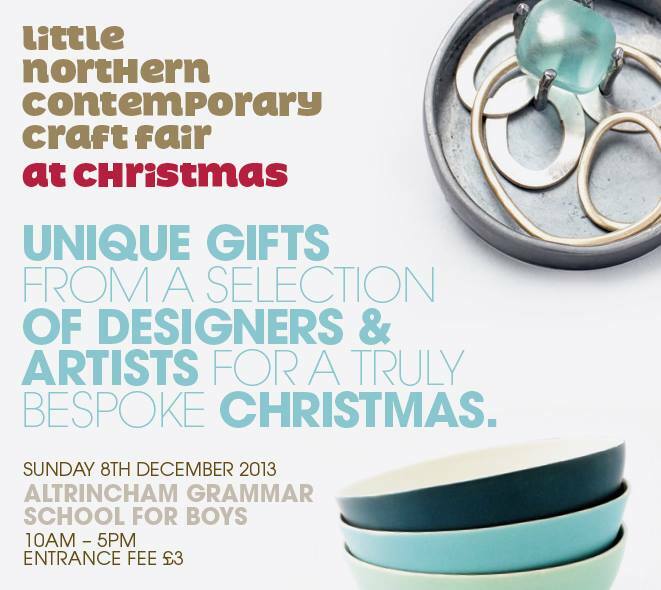 Just a reminder that if you’re in the Manchester area that I’m taking part in the Little Northern Contemporary Craft Fair today which is on from 10am til 5pm at Altrincham Grammar School for Boys. There will be over 50 designer makers from all disciplines so it should be a great day to find that special christmas gift. Hope to see you there. ← Jonathan Adler Contemporary vintage ceramics. Thanks Jane, not a sell out but not a disaster either : ) Lovely people and place. Hope all is well with you too.